What Is a Feng Shui Wealth Vase and How Is It Used? The feng shui wealth vase is one of the oldest feng shui abundance and money cures. In fact, it is considered an ancient cure brought to China from India many centuries ago; the making of the wealth vase is still a tradition (and a sacred offering) in many Tibetan Buddhist Temples. 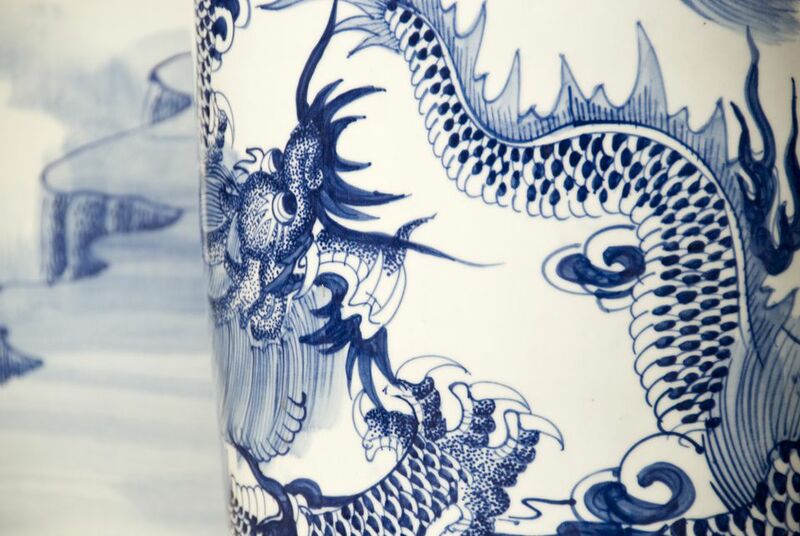 The history of the wealth vase is complex; its making and symbols have numerous deep meanings. In feng shui applications, the wealth vase is used as an abundance cure to help you attract and strengthen the flow of wealth and prosperity energy in your home. You will need some simple ingredients for your wealth vase, such as soil from a wealthy friend (or from an area with lush, vibrant energy), several symbols of wealth such as crystals, golden ingots, etc, 5 different types of grains along with a string with the colors of 5 feng shui elements. And, of course, you need to find a good vase—ideally an oriental looking one—that can serve as your very own wealth vase! All this info is explained and demonstrated in the video. Next, be sure to apply these 7 guidelines for using the wealth vase as a feng shui money cure. Prepare and fill your feng shui wealth vase with items that have personal wealth meaning for you. The more meaning each item has for you, the more powerful energy is created—and maintained—in your wealth vase. You can also go for traditional feng shui cures such as Chinese coins, golden ingots, a small Laughing Buddha, or specific crystals such as pyrite, for example. Be sure to first fill the vase with your clear intent for wealth. Having a clear intent as to why you are creating a wealth vase is very important and can energize your vase with the needed energetic fuel. After the feng shui wealth vase is created, it is not supposed to be open again. If you have to open it, for any reason, then start again with all of the above steps. While the vase is never opened, you can sure clean it on the outside as necessary. The feng shui wealth vase is not meant to be displayed openly. Always place it out of sight in a respectful manner. You can change the placement of your wealth vase, but it is always a good idea to have it out of sight, in a more cocooned energetic space. You can place your wealth vase in one of the following feng shui areas: the Southeast Bagua area (Wealth & Prosperity), your personal wealth direction, the yearly direction of the wealth feng shui star # or you can have more than one feng shui wealth vase in your home, and in any size you want! You can have more than one feng shui wealth vase in your home, and in any size you want! Traditionally, the wealth vase is symbolically cleaned on the Chinese New Year. Of course, you can also clean it at any time during the year, just be sure not to open it. As you can see, the meaning and the energetic essence of the feng shui wealth vase is to create a magnet for wealth; a strong vortex of energy that is fueled by your intent and desire for wealth on all levels. It is also good to keep a very grateful attitude in mind as well as understand that lasting wealth always has spiritual roots. There is a reason why they were first created in temples! After viewing the feng shui wealth vase video tip, you might have this question: "How can I get soil for my wealth vase if I do not have a rich friend?"